Yesterday, Google announced what many hoped would be the first "proper" Android Wear smartwatches - designed from the ground up to provide the best Wear experience possible by the very team behind Android Wear. But what we received increasingly appears to be two LG smartwatches with hints of Google design influence, with far more of Google's effort being felt in the marketing and media campaigns than on consumers' wrists. Our reviews of the LG Watch Style and Watch Sport haven't yet landed, and I don't wish to taint their conclusions (my opinions here are my own), but to me they show Google's strategy with the struggling Android Wear platform is deeply misguided. If Android Wear is to be taken as seriously as the Apple Watch, we actually need an Android version of the Apple Watch. And these LG watches simply aren't up to the task. Take the Style, a watch that actually makes no sense. 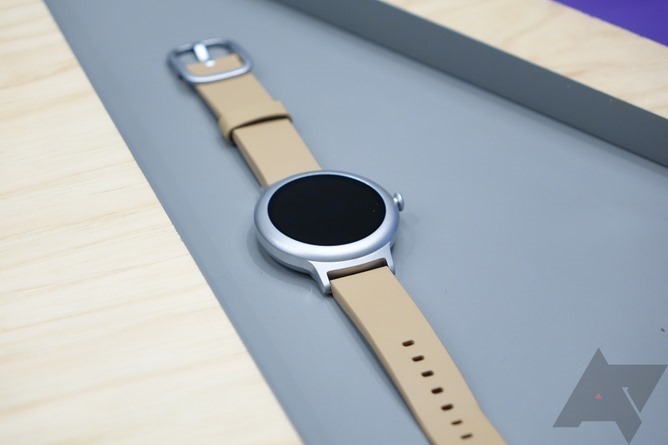 The number-one requested feature in Android Wear? Contactless payment support. The Watch Style doesn't have it. Meanwhile, the Apple Watch Series 1, which I can go buy for a scant $20 more than the Watch Style (and I think looks a fair bit more stylish), does. And that is a product that is nearly two years old. For even less, I can get a Gear S2 that supports Samsung Pay (granted, the NFC only version). Of course, payment support isn't the killer watch feature for everyone, but it's undeniably one of the features that's meant to sell the concept of a smartwatch to ordinary people. Wouldn't it be neat if you could pay for stuff just by tapping your wrist on a credit card terminal? That's the future the smartwatch is supposed to promise. Even in the here and now, the Watch Style makes little sense. It doesn't appeal to the fitness crowd - it has no GPS or heart rate monitor. It doesn't have especially great battery life. And it doesn't do phone calls on your wrist (silly as I think that whole idea is). In fact, it really doesn't do anything meaningfully different from any other Wear smartwatch on the market (aside from the crown, which, OK), and actually does less than a good deal of them. It may appeal to a niche of existing smartwatch owners, but existing smartwatch owners can't sustain the ecosystem. There aren't enough of them - that is the entire problem the smartwatch business is facing. I think Google and LG missed the mark on every level with the Style, and on the basis of features alone that it is simply a bad product. The Watch Sport exists at the opposite end of the spectrum - everything and the kitchen sink is included. Bluetooth, Wi-Fi, LTE, GPS, PPG, a barometer, IP68 waterproofing, NFC - it's got it all! It's also the size of a small hockey puck and you can't replace the bands because they're stuffed full of a bunch of antennas. Oh, and despite being the same thickness as LG's curiously-similar Urbane 2nd Edition LTE, the battery is a fraction of the size (430mAh in the Sport versus 570mAh in the Urbane), and reviews to date indicate frankly unacceptable longevity as a result. Software could optimize the battery life a bit, but honestly: how are we even making that allowance in 2017? Samsung manages to get two full days of estimated use out of its LTE-enabled Gear S3 Frontier, which costs the same money as the Watch Sport while offering a marginally slimmer profile. There's also the Apple Watch Series 2 which, while lacking LTE and only compatible with the iPhone, is inarguably the center of third-party developer attention in the wearable space right now. And it at least lasts a day. Aesthetics are also a huge consideration for many people when it comes to watches, and the Apple Watch has style in spades - it's recognizable, highly customizable with various bands and body colors, and it doesn't try to be a "real" watch, which I think is to its great benefit. The Watch Sport is about as aesthetically subtle as a brick through the window - it's a smoothed-over trope of a men's sports chronograph. Google tries to play up watchfaces as the "real" personalization, but we know that's a load of crap: every smartwatch does this. The Apple Watch allows for a very personalized look. LG's Watch Sport... doesn't. A lot of the problem, I believe, comes down to Google's philosophy about Wear as a platform. Google hoped that by virtue of its tight control over the Wear software experience and OS updates, it could avoid the pitfalls of fragmentation and confusion that plagued Android on phones for years while simultaneously allowing its partners to innovate and experiment with hardware. The issue with this approach is that smartwatches just aren't a very good platform for that kind of experimentation. Low shipment volumes mean component choice heavily factors in cost considerations, and most Wear devices to date have just been based on very standard Qualcomm and Intel wearable reference chipsets, varying mostly in terms of displays and the subtraction or addition of radio hardware. 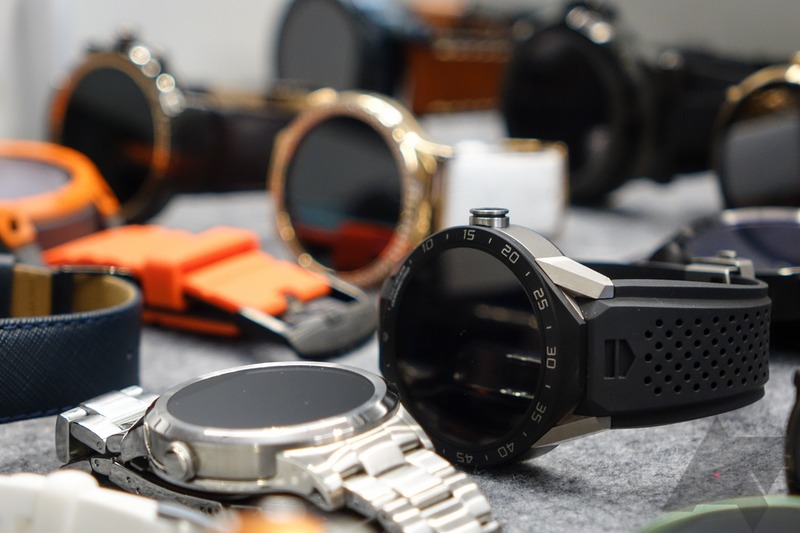 One can hardly call the Wear ecosystem a hotbed of innovation - if anything, it has been a systematic effort to commoditize the smartwatch as sales and thus profits have proven elusive. This is why Google itself must build a smartwatch if Wear is to succeed in a meaningful way. 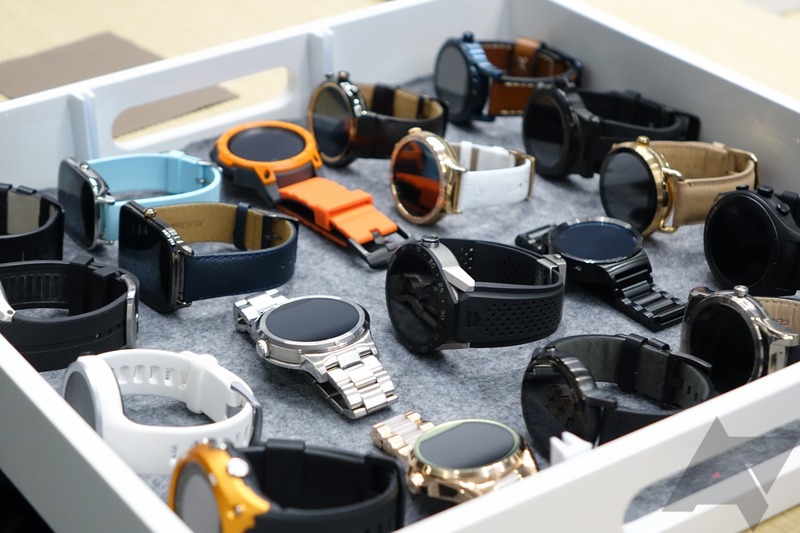 I'm not sure Wear can succeed at all - smartwatches to me remain a dubious proposition - but there is no doubt in my mind that Google must lead the charge if it is to prove the platform has any kind of chance at long-term momentum. After all, Google is the one who created and then strictly locked down the Wear experience, and so clearly believes it has a vision for smartwatches and the way people will use them. Why, then, stop at the virtual level? The Watch Sport and Style perfectly illustrate why this is a failing strategy: partners don't share Google's vision of a smartwatch, they merely desire an opportunity to profit on Google's work. That is not a recipe for success, but one for compromise. And when we're talking about a form factor that consumers aren't flocking to with anywhere near the enthusiasm they did smartphones, compromises like this one really don't make sense. Google's fear that it may alienate partners by building a first-party watch is a silly one. It never cared about alienating partners with its Nexus phones and tablets, and even as competition is increasingly stifled in the smartphone market, Google put out the Pixel. Where's the "partner ecosystem" compassion there? And are a dozen or so Wear "partners," many of whose products innovate in zero ways whatsoever and sell poorly, even something to care about losing? After all, some have already abandoned ship: Samsung made exactly one Wear device, Motorola has bowed out of smartwatches entirely, and I don't think Sony's itching for a second run at Wear, either. We've given the platform and partners time to prove themselves, and they consistently haven't. Half-measures like these LG watches, so openly riddled with compromises, are a case in point. Nearly every review I have read of them craves a device that sits somewhere between the two, because neither is actually very good on its own. Google is a company full of incredibly smart people - there's no way the Wear team didn't see that LG's product strategy here has significant flaws. And yet, this partnership forged ahead anyway, and I think the Wear brand will only be hurt for it in the end. If Google is serious about Android Wear, it should be serious about building Android Wear watches - full stop. Only Google has the long-term motivation to keep the platform alive, and only Google can afford for its hardware business to be a zero-sum game in the name of building up an ecosystem. Without our own "Apple Watch" to act as a guidepost, as proof that a better smartwatch can be made, Android Wear seems doomed to continue on in stagnation and obscurity.